I couldn’t begin to share my experience but with these words. These were the two feelings Dr. Jana Valdés and Ariadna, embryologist at the centre for reproductive medicine InVitam, gave me last summer when sitting down in their office on that July 18th to propose them the R.O.P.A. method. That technique was very suitable for our situation for many reasons (female couple going through 2 negative partner inseminations, 6 failed transfers, one miscarriage and hundreds of test so that I could get pregnant). This was the best decision I made: turning the page, changing clinic and healthcare professionals, receiving my wife’s egg cells and bearing them in my womb, wonderful, isn’t it? In addition to that seeing two girls in front of us listening to our story in silence, putting themselves in our shoes, and perceiving human warmth through their eyes, even though this may be almost impossible. Because that is what a couple needs when sitting down in those chairs: human warmth and somebody who holds your hand during this difficult path. After the summer, everything was ready to start the treatment with a very positive cycle. My wife did not let me down, of course! 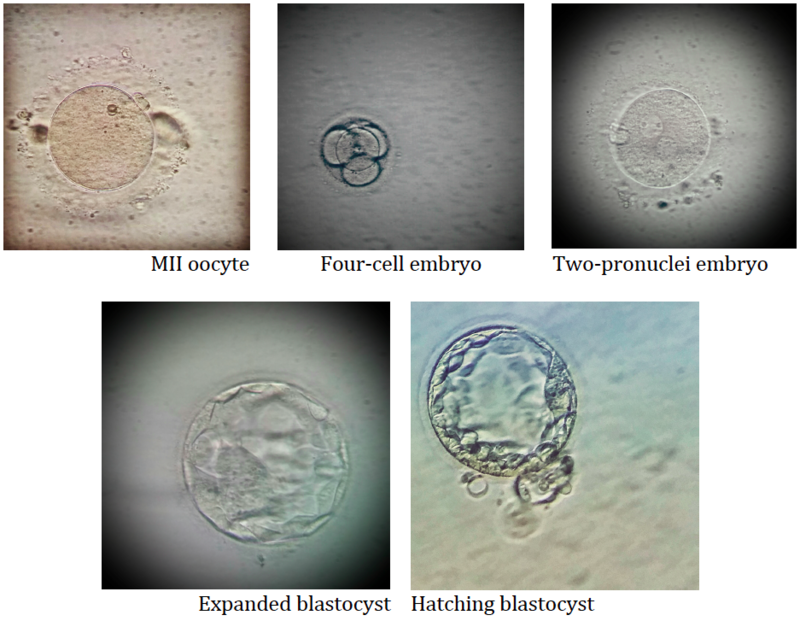 We got more than 25 oocytes and from them our “fridge-babies”, 7 blastocysts “Wonderful!”, commented Ariadna. For me that was a gift: 7 blastocysts. Five were frozen and on November 3rd I was transferred the other two little champions. To our regret and the girls’, one of the transfers failed. I realised that day that Ariadna felt the same: her heart was filled with sadness, without being able to say any word. Yet, when we went back there on December 4th to start a new cycle, she said: “I won’t give up until you’re pregnant. I even dream about you two.” I will never forget her words. And that is how it was. On January 16th we started another cycle with a new transfer, the last (who could have said that!) and most beautiful one, of two embryos. All my hopes focused on doing everything possible (and more!) for all to run smoothly. Unfortunately, though, in the meanwhile I realised I wasn’t pregnant, I know my body too well and felt that something was wrong. Negative again, once more. Nobody, absolutely nobody, will ever really understand what we, “the maternity heroines”, went through. Only a woman who has been through the same can understand the despair you feel when your dream does not come true. That was my full stop in our story. All the pain, tears and constant fears in these years led me to making the right decision, yet the toughest of my life. I handed over my dream to my wife, my ally, my traveling companion in this path towards maternity. I handed over to her the chance of bearing our child, I so often dreamt of. Despite having lost part of our optimism, we decided to trust in those 3 remaining embryos as our last chance. It was the right choice because thanks to the last transfer of those two embryos left to my wife, we finally got the long-awaited and valuable POSITIVE on April 7th. I still remember the girls’ faces early in the morning that day telling us that they dreamt again about us. 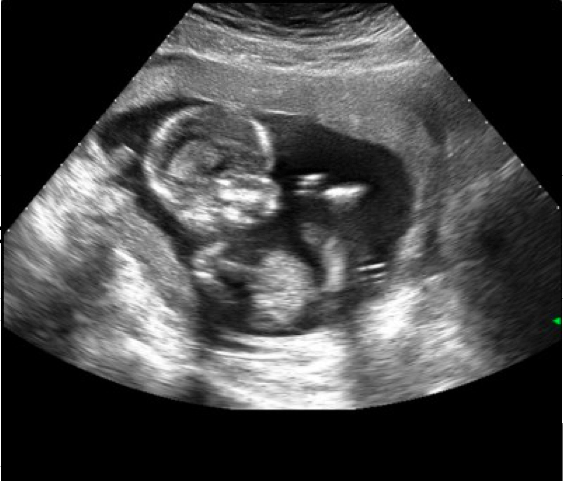 🙂 And there we were, waiting nervously for the ultrasound, which is normal for two anxious mothers eager to finally see their desired baby/babies. What a great surprise seeing the heart of both of you beating fast, making our tears finally be of joy and your “fairy godmothers”, Ariadna, Jana, Ana, Mónica, Paz and Cecilia, feel proud of their work. These girls made us happy and this is why they felt our same emotion that day. Because that moment was yours too, girls! This is our story, dedicated to all those mums that never give up, so that they keep fighting and know that there are people who do their job with love and will be amazing with them. Congratulations, girls! The fruit of your enthusiasm is growing little by little!